For Creative Edge Food owner Shane Tinker, training the industry’s up-and-coming bakers is a way for him to give back to the baking industry and future-proof his business. “Someone took time to train me and it’s a way of giving back to the baking industry. I was lucky to get an apprenticeship when I was 20-years-old at Coupland’s in Invercargill learning how to bake from scratch,” Shane says. Shane co-owns the Auckland-based wholesale bakery business with his partner Jennifer Elliot. They brought the business off the original owner over three years ago. Jennifer looks after human resources, sales and accounts, while Shane looks over maintenance, production, and purchasing. “Without Jennifer, I would be stuffed,” Shane jokes. 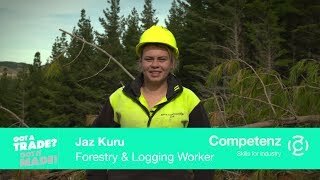 Training apprentices is an important part of the business. Other than Jennifer, Shane has three apprentices and is looking to take on another one in the New Year. “It has future-proofed our business. For around six to nine months we had struggled to find the right skilled staff, so decided to teach our own. We’re getting a stronger workforce by training our own apprentices,” he says. It’s all about the output, as well as quality in a wholesale business. “I’ve had bakers come in and fail because they’re not used to making things from scratch. There’s a difference between baking from premixed ingredients, to actually learning to bake properly,” he says. Twenty-two-year-old baking apprentice Nowella Stokes is currently halfway through her apprenticeship at Creative Edge Food. “I’ve wanted to be a baker since I was 11-years-old. Doing an apprenticeship will hopefully mean I can move into a higher-up role in my career and own my own bakery one day. You get to earn and learn,” Nowella says. Shane believes more needs to be done to develop a skilled workforce in the baking industry. “Skilled bakers are few and far between. It’s important that we support local bakers. The only way forward is through training. 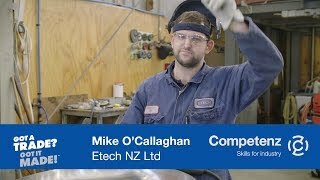 More employers need to give back to the industry by training an apprentice,” Shane says. Photo: Creative Edge Food owners Shane Tinker and Jennifer Elliot (back row) and their team.